A Kettlebell workout DVD is a great way of quickly taking your kettlebell training to a new level. Ideal for beginners yet to master their techniques, they’ll introduce you to a number of kettlebell workout routines, helping you achieve your fitness goals with maximum efficiency. There also a great choice for the more advanced users looking to holm in on a specific areas i.e. body conditioning. This kettlebell workout DVD offers two different workouts- deemed Level 1 and Level 2. They are for intermediate users looking to mix cardio workouts with fat burning weight training. Pros: Jillian Michaels as the instructor may be a pro or a con, depending on your preference! She is enthusiastic and upbeat, and she boasts an engaging training style. Cons: There is a lot of scrutiny around Jillian’s form, making this a poor choice for beginners. She also creates her own words to describe exercises that don’t match up to traditional lingo. Hey serious athletes, this kettlebell workout DVD is for you! People who want to push themselves at a high intensity will enjoy this program. This set contains four DVDs that will challenge your overall conditioning. Pros: You get four DVDs at a great price that will push you and help you reach your goals. Cons: This workout set is not for beginners! You need a strong fitness foundation to begin this program. Though marketed for beginners, this kettlebell workout DVD is a bit too advanced for those who have never used kettlebells before. Intermediate users who want to improve their techniques will enjoy this DVD. Pros: The instructor gives excellent tips on proper form and techniques for using the kettlebell. The first workout only discusses technique, so it is more in-depth. The second workout gives a fast-paced workout. The third offers a standard core workout that’s great for beginners. Cons: The instructor does not give enough guidelines for how to select different weights for different exercises. This makes true beginners susceptible to injury. Because of the lightweight kettlebells included in this package, females and beginners will benefit the most from using it. Pros: You receive a nutrition chart and an exercise wall poster along with the DVD and kettlebells. Cons: The weights are so light that you will quickly condition beyond their usefulness. The RKS Kettlebell Workout Program offers an intense four-week workout series that includes 16 workouts! 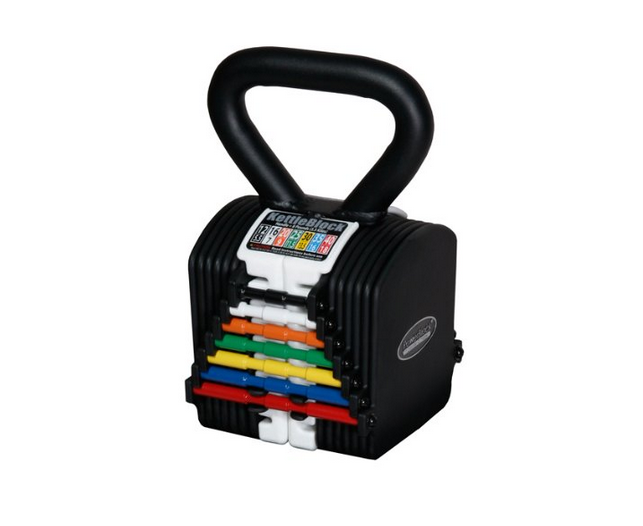 It is best suited for those who already have a strong fitness foundation and are looking to optimize their routine. Pros: The program is truly comprehensive, and you will see results if you stick to it. Cons: The workouts are a bit repetitive and therefore boring. If you need a lot of affirmation and high-energy motivation, then this set will disappoint you. This 50-minute kettlebell DVD definitely for intermediate- advanced practitioners looking to improve cardio function and endurance. Pros: You will work up a good sweat with this lengthy, challenging workout. Cons: The flow of this workout is a bit off. At times, Bob moves very quickly from one exercise to the next. Other times, he stops altogether to explain form or technique, putting the user on hold. This structure can be very frustrating. 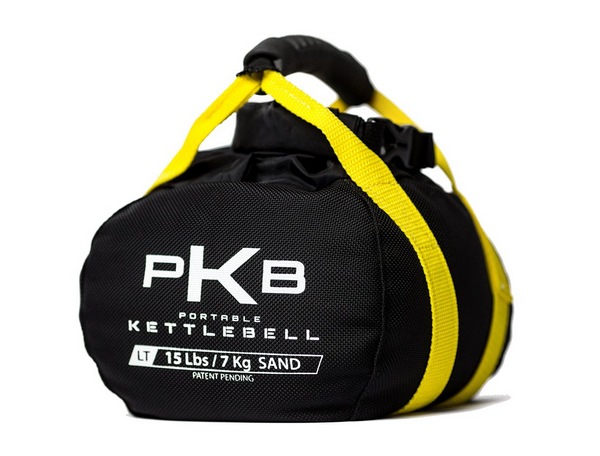 This program best suits beginners, especially those new to kettlebell training. Pros: Amy Bento gives excellent tutorial advice that help new kettlebell users feel safe and comfortable. Cons: The instructor is a bit chatty and over-the-top with motivation. The workouts only last 20 minutes, so you will quickly outgrow them. All fitness levels can use this five-DVD kettlebell program; it works for beginners and athletes alike. Pros: The instruction is clear, concise, and factual. You get a full-body workout system thanks to the number of instructional videos. Cons: Some moves are repetitive, and the system can get boring after frequent use. This kettlebell DVD combines kickboxing moves with kettlebell weight training, and it is designed for females only. Pros: You receive four different workouts that are challenging, high-calorie burners. Cons: The instructor talks non-stop throughout the videos, and the moves she instructs do not sync with the music. Also, some of the moves are repetitive. Designed for all fitness backgrounds and ages, this kettlebell workout DVD works best for beginners and intermediates thanks to its tutorial and joint mobility section. Pros: The fact that Lauren included a joint mobility section is a huge pro. Joint health is so important to overall optimal health. She provides clear instruction that will keep you aligned and safe. Cons: Despite having a great tutorial at the front of the video, the workouts do not include detailed instructions. Accelerated cardio, high-intensity circuits, and 54-minutes of workout? You need to have an advanced fitness background to use this program. Pros: This workout is very intense, with burpees included, to really challenge advanced practitioners. Cons: At least half of the workout has nothing to do with kettlebells. Instead, it focuses on body-weight exercises like push-ups and planks. Designed for those wanting to master classic strong-man moves, this kettlebell DVD is appropriate for those focused on lifting. Pros: You receive excellent instruction for how to build strength using class strong-man exercises. Cons: It sticks to the most basic fundamentals and covers very few moves. Created to mimic the functional strength of Greek goddesses, this kettlebell workout is for women of all ages and backgrounds. Pros: You receive four 30-minute workouts with optional 15-minute add-ons. Cons: Beginners will feel lost thanks to the limited instruction. This kettlebell DVD is best for beginners/intermediates looking to learn better use of the kettlebell and simultaneously get a short workout. Pros: This DVD offers a comprehensive 30-minute tutorial for beginners or those who want to improve technique. Cons: The instructor gives long rest breaks, so it is not a very challenging workout. Kettlebell training is surging in popularity, and for good reason. Kettlebells offer a wide variety of benefits, from fat burning to muscle building. Compound, functional movements that kettlebells require are superior for strength training and weight loss efforts alike. Engaging multiple large muscle groups demands that the body quickly adapt. You also work on improving joint integrity and core stabilization, which are key components to optimal health. Finally, they allow also for shorter workouts and therefore maximize efficiency. Aside from the training benefits, adjustable kettlebells offer key logistical benefits. They take up virtually no space in your home, making them more accessible and convenient. With all of these key benefits, it is no surprise that more people are exercising at home with their kettlebells. There is one small concern, though. Despite the numerous benefits, not everyone is familiar with the best ways to use kettlebells. It also can be difficult to come up with new routines or to master new techniques. Of course, you don’t want to invest in equipment that you don’t know how to use. Luckily, there is a remedy to this problem: kettlebell workout DVDs! Kettlebell DVDs are a fun way of working out from home. They teach you new routines and how to master techniques. Some may think that kettlebell workout DVDs are strictly for beginners. Some may even feel too much pride to use a kettlebell workout DVD. Actually, all fitness backgrounds can benefit from kettlebell workout DVDs. From beginners to seasoned kettlebell enthusiasts, you can find a training DVD that will improve your kettlebell workouts. There are even specialized kettlebell workout dvd programs that can help you work toward specific goals. Some kettlebell DVDs are focused on cardio workouts, whereas others can teach you how to build muscle using your kettlebell. The stigma around being suitable only for beginners needs to end; anyone can benefit from a professional’s advice! There are also body part-specific kettlebell workout DVDs. For example, you can get a DVD that is specialized simply for core workouts. Aside from having something to offer for anyone at any fitness level, kettlebell workout DVDs keep you focused. It is like having a personal trainer right there in your home! Accountability and structure in the DVDs allow you to get more from your valuable time and achieve your goals faster. The DVDs are easy to follow. And, you get to fit them into the demands of your hectic life. That is much easier than trying to make it to a kettlebell class at the gym! You are more likely to succeed when you have more time and flexibility. What makes a good kettlebell workout DVD? First, you need to ensure that the trainer is reputable. Check into their expertise, training, and other projects. I’m not saying you have to go for a big-name celebrity trainer, but you also don’t want a low-budget amateur! You also need to make sure you like the training style and personality of the instructor. Otherwise, you won’t want to load them into your DVD player, which is not conducive to your goals. But ultimately, knowing your own fitness goals will help to identify the best kettlebell workout DVD for you. You need to really research and outline what type of kettlebell workout DVD will support your goals. Consider whether you need a comprehensive kettlebell workout program or a beginners’ guide. Whereas a full-on program requires 3-4 workouts per week, you can follow beginners’ programs once a week or as needed. You should also identify whether your primary goal is to bulk up or to burn fat. Be clear about your goal since certain DVDs are tailored for specific reasons. Finally, consider your weaknesses and/or injuries to help you choose the right level of intensity. If you are in a rehabilitative program, for example, then you to agitate your injury while exercising. Clearly outlining your expectations will help you make an informed purchase that you won’t regret.